Let’s quantify the opportunity. Research shows that 87 percent of consumers who can’t read English won’t buy an English-only product. At the same time, people are willing to pay more for a product if it provides information in their own language. 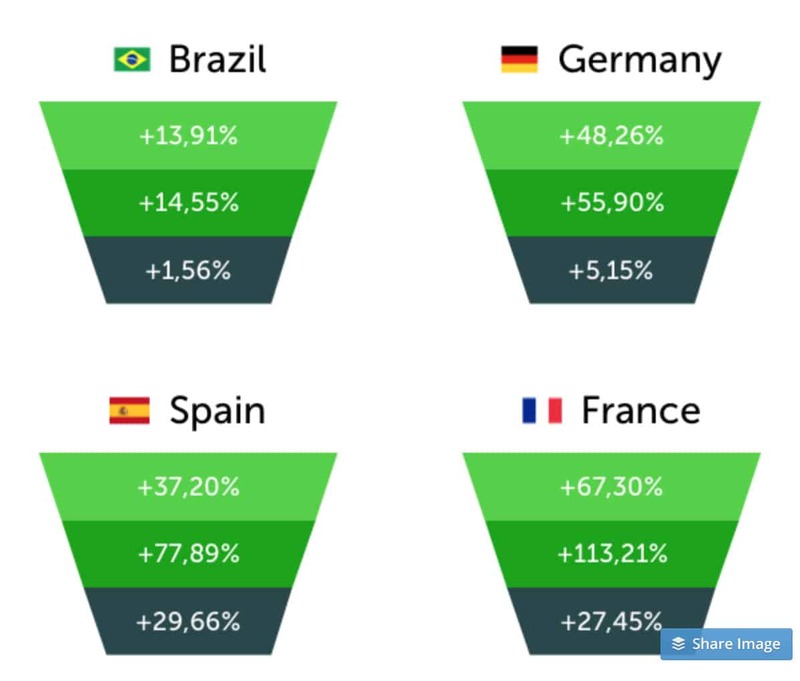 One final piece of perspective: Of the top 10 countries in downloads and revenue in the iOS App Store, five of them are non-English-speaking. Many companies that you think of as being U.S.-centric actually have large international user bases. Evernote, for example, says about 75 percent of its user base lives outside the United States. This doesn’t necessarily mean every product needs to be localized or translated, but it means you owe it to yourself to at least look into it. Here I’ll discuss localization from a marketing and business-development perspective and leave the technical implementation for another time. If you already have a product in use and you can’t say for sure where your users are located, go through your logs, database, and analytics to see if there’s interest in non-English locations. In Google Analytics, for example, you can go to Audience -> Geo and select Language or Location. Or you can check locations in your Google AdWords campaigns. You can also just ask. MacPaw, maker of Setapp, wrote about its localization strategy recently and conducted a Facebook poll asking users what languages they spoke. That poll showed that German and French were the next most popular after English. Similar information could also come from simply emailing customers or posting a survey on your website. You know your product best, but there’s likely some geographic information about your users that you’ve overlooked that could be valuable. Of course, just finding the countries and languages of people who use your product isn’t enough to take action upon. One of the easiest ways to extract a signal from the noise is by mirroring one of your English AdWords campaigns in different languages. This means translating the content of your campaign, as well as keywords and any landing pages that it links to. Then, run the English campaign and the translated campaign side-by-side and see how the stats compare. Also be sure to monitor quality score (QS) to make sure the translation hasn’t had an effect on the quality and relevance of the campaign. Using this technique, MacPaw saw a 4x improvement in engagement in its translated campaigns. In some cases, the cost per signup dropped by half. This clearly indicated that there was massive opportunity in these non-English markets. Now that you’ve identified and validated some new markets, it’s time to roll up your sleeves. The best way to enter a new language market is to basically start from scratch with your marketing strategy. Advertising, documentation, customer touchpoints … it all needs to be fully translated. If you can, start new language-specific social media channels as well. We’ve all seen the terrible nonsense that even the best translation software can spit out. Even when it works, some nuance can be lost. So I recommend going with a professional translator (preferably a native speaker) to ensure your brand and intent are carried through. Ideally, this would not be a one-and-done effort, and your translator can be available for social media posts and new advertising campaigns. For resources, check out PhraseApp, LingoHub or this list of translation services. If you have the budget, further research can yield opportunities beyond translation. When Evernote realized it had many users in Japan without having done any special outreach or localization, the company sent a team there to see what was going on. After doing user interviews and on-the-ground research every three to six months, Evernote boosted its conversion rate by implementing relatively small changes. Things like switching from dollars to yen in the app, and rewriting the App Store description to emphasize what’s important to Japanese customers, paid off. When a version of your software in a new language is ready, make sure you toot your own horn. Even your English users will likely appreciate the effort you’ve made to translate into other languages. They might even help spread the word. MacPaw, for example, rolled out the Spanish version of Setapp with an employee-made video. MacPaw shared this graphic breakdown of its localization results, and they’re pretty impressive. App localization can pay off big-time. 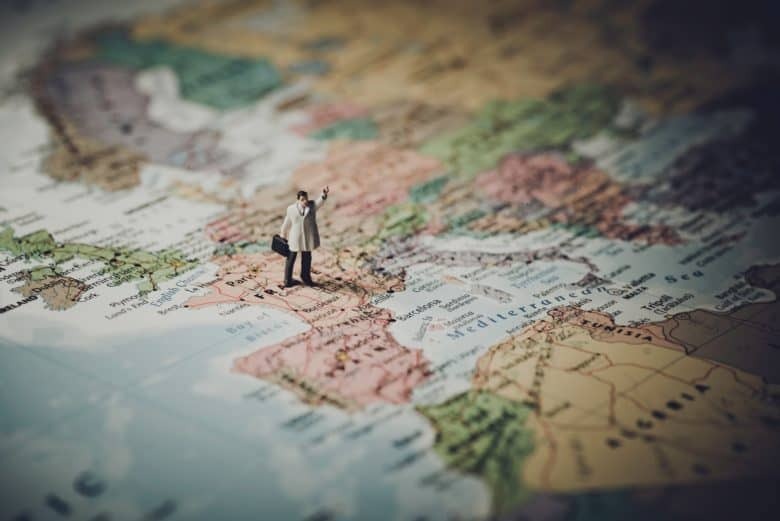 So while, yes, localizing software requires a significant effort, it can produce outsize benefits in terms of growth and revenue for your business. And once the infrastructure is in place to do it once, the additional costs for doing it again with another language come down considerably. Is app localization working for you? Please share any of your own experiences with app localization. And if you decide to give localization a shot based on this summary, come back and tell us how it goes.